Who is really responsible for cloud initiatives in the enterprise? Some say central IT, but studies show that is most certainly not the case. Enter shadow IT, which is very much alive and well in the enterprise. I stumbled across a ZDNet article by Larry Dignan linking to Rightscale’s 2015 State of the Cloud Report referencing how Azure’s use is growing and it’s now become an emerging No. 2 competitor to AWS, a la the famous Avis commercials of long ago, where Avis said “we’re number two but we try harder.” This aligns with the general perception that Microsoft seems to have gotten its feet under it and is charging hard into the public cloud. After downloading the report, subtitled “Central IT is Taking the Lead to Broker Cloud Services to the Enterprise,” I believe the more interesting and important material is, so to speak, buried in the back pages -- where the respondent’s adoption patterns and technology choices are surveyed. Is IT Really in Charge of the Company Cloud? And here, despite the subtitle, which implies that central IT is now taking the primary responsibility for cloud computing within enterprises, a different picture emerges -- one in which central IT and business units hold very different perceptions of who is responsible for cloud computing decisions. For example, in the chart (Figure 1) describing “Enterprise Views of Role of IT in Cloud,” there is an identical perspective from both organizations that IT should take the role to “Broker cloud services,” although it’s only 40 percent in both parties. In other areas, however, the comity and alignment vanishes. Taking the question of who gets to select public clouds, 59 percent of central IT believes it’s their responsibility, while only 35 percent of business units agree. 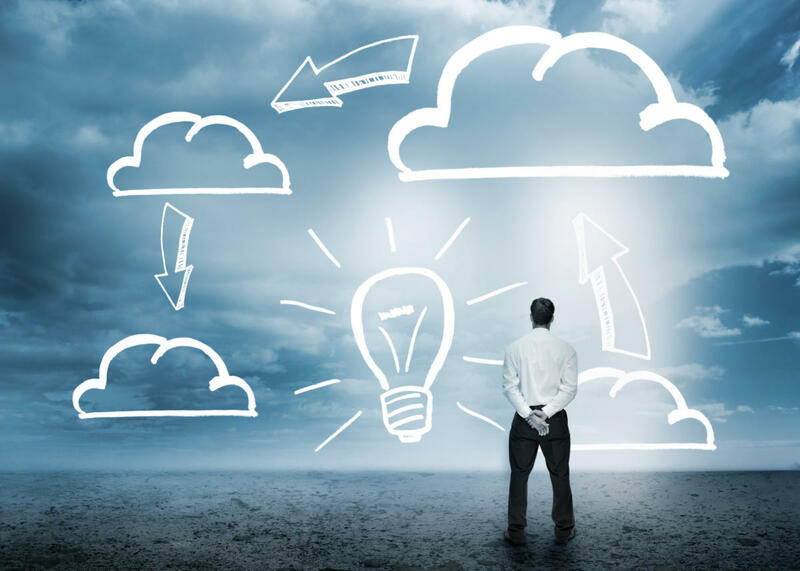 Perhaps more surprisingly, on the question of private clouds, 57 percent of central IT believe it’s their responsibility, but only 35 percent of business unit respondents agree. These are vast disparities in how these two groups view the role of central IT, with Central IT viewing itself significantly more important in terms of making choices and executing decisions. One could go so far as to say this portion of the survey indicates very large differences between these two organizations as to the future of IT decision-making within the overall company. The question is why do these two groups view the ground rules of cloud computing so differently? One clue goes to the very heart of the matter, in understanding what cloud computing is, and where central IT stands in terms of implementation. In one question, Rightscale queried respondents about how large the cloud computing environments they operate are. In terms of private cloud, respondents said (Figure 2) that 22 percent of them are running cloud environments with over 1000 virtual machines. Frankly, I find that astonishing. As one can see in the chart describing the private cloud technology options IT organizations are using (Figure 3), a full 43 percent of the 74 percent of IT organizations claiming to operate private clouds are using vSphere or System Center. In other words, they are using virtualization products and calling them clouds. My comment to a colleague was this is like me calling my minivan a Ferrari because both have an engine inside of them. It’s a near certainty that nearly all of those 1000+ virtual machine clouds discussed above are really standard virtualization farms, not real cloud environments.